H. Paul Lauster, 88, of Winona Lake, Indiana, died on 5/9/2010 at 9:09 AM at Kosciusko Community Hospital. He was born on October 6, 1921 in Rural Valley, Pennsylvania to William P. and Dora (Roney) Lauster. On February 22, 1950 he married Mary E. Cox in Kittanning, Pennsylvania. He was manager of Lauster Milling Company, a third generation family owned business founded in 1904 for 9 years, prior to moving to Winona Lake. He retired from the Times-Union in 1999 after 50 years. He also was employed at Clausing, Inc. for 15 years. In Pennsylvania, Mr. Lauster was a former city councilman and chairman of the American Red Cross. 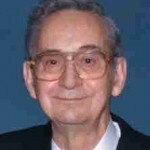 He was the elected finance chairman for the National Christian Radio Broadcast (Friends of McIntire) for 22 years. He served in World War II from 1944 – 1946 in the 6th division of the United States Air Force. He earned the rank of Sergeant and was an armor gunner on a B-17 bomber and later on a B-24 bomber. He was stationed on a U.S. Air Base in the Galapagos Islands; a province of Ecuador in the eastern Pacific Ocean. He was a graduate of Rural Valley High School, PA. in 1940 and graduated a salutatorian of his graduating class at Grace College in Winona Lake in 1955. He also graduated from Grace Theological Seminary with a Masters of Divinity Degree in 1960. He was a member of the United Presbyterian Church of Kittanning where he served as trustee, financial chairman, elder and Sunday school superintendent. He was an original charter founding member of The Bible Presbyterian Church where he was a member and elder. In later years, he attended the Winona Lake Free Methodist Church. He was preceded in death by his parents, brother William Lauster, and half sister Isabel Beyer. He is survived by his wife, Mary Lauster, Winona Lake; two daughters, Leana Allison, and Eileen Smith, Warsaw; six sons, David Lauster, Wesley Lauster, and Chris Lauster all of Warsaw; John Lauster, Leawood, Kansas; Carl Lauster, Winona Lake, and Martin Lauster, Warsaw. He is survived by 11 grandchildren and six great grandchildren. Also surviving is a sister, Louise Evick, Youngstown, Ohio; three nephews William Evick and Richard Evick, Austin Town, Ohio and Neal Beyer of Clearwater, Florida; and a niece, Jane Skerl, Allison Park, Pennsylvania. Private services are planned at McHatton-Sadler Funeral Chapel Wednesday, May 12, 2010 at 2290 Provident Court, Warsaw with the Reverend Glenn Byers officiating. Burial will be at Oakwood Cemetery – Warsaw, IN.